I've been on the hunt for the best mascara for the better part of 14 years. Everyone knows it - my best friend's mom asked me my newest preferences at her daughter's wedding this summer; a college friend asked me if I was still obsessed with making my lashes as black and long as possible, and it had been 5 years since we'd seen each other (my bad!). My favourite mascara isn't sold in Belgium so I've been on the hunt for something that's more easily accessible for this Belgium-based lash lover. Thus, I was extremely happy, and surprised, to find the new Maybelline Snapscara at a decent price in Au Chan in Lille (for some reason, France is always the best place for beauty buys in this region). As an avid social media user, I had of course seen Maybelline's posts and ads for this with Gigi, and I can't say that I was particularly impressed. But mascara is one of the things that I'm always willing to try so into my basket it went! I waited just 12 hours before trying this, and I was gobsmacked. The formula has no wax so it's nice and smooth, but I worried that all it would be to my fine, blonde lashes would be to colour them. But this baby makes it look like I'm wearing falsies, with no clumps, and it doesn't flake at all, with no need to reapply before a night out, though it does layer well. My point? 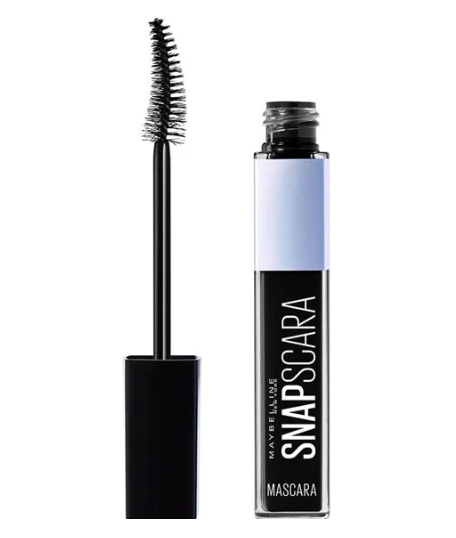 If you're a mascara lover, try this. I like my lashes thick, curled, and black, and this helps me check off every need on my list. Have you given it a go? Let me know your favourite mascara!